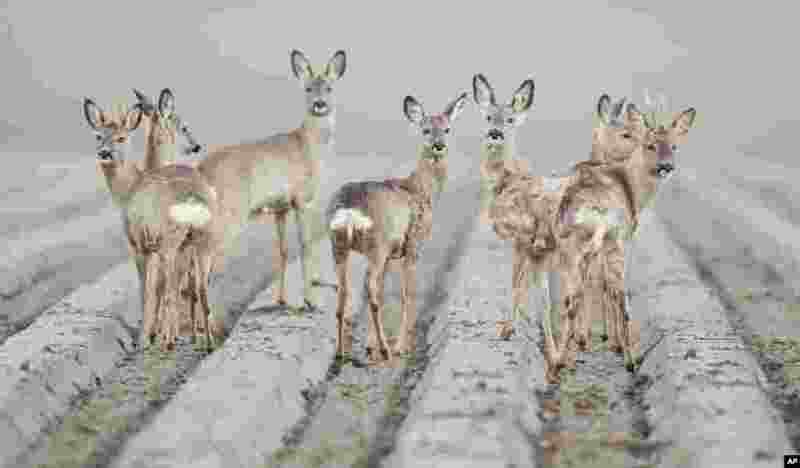 1 Deer are seen on a field near Hildesheim, Germany. 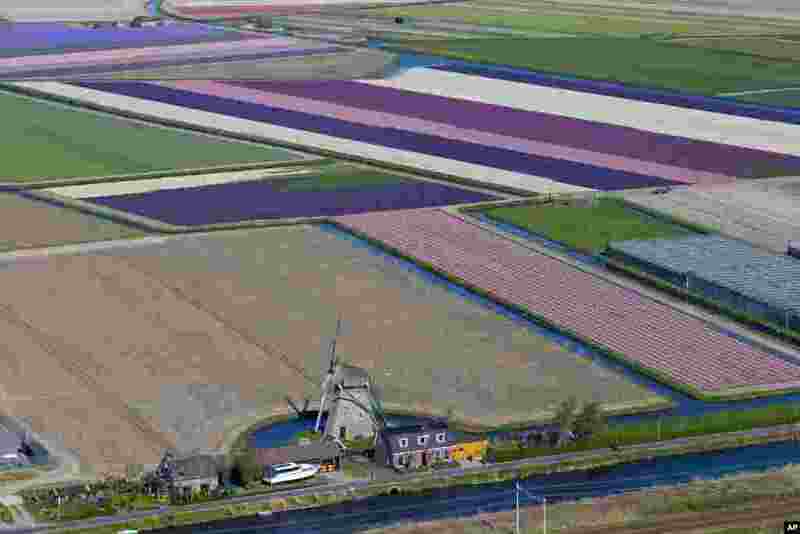 2 An aerial view shows a windmill and flower fields surrounding Keukenhof Spring Park in Lisse, near Amsterdam, Netherlands. 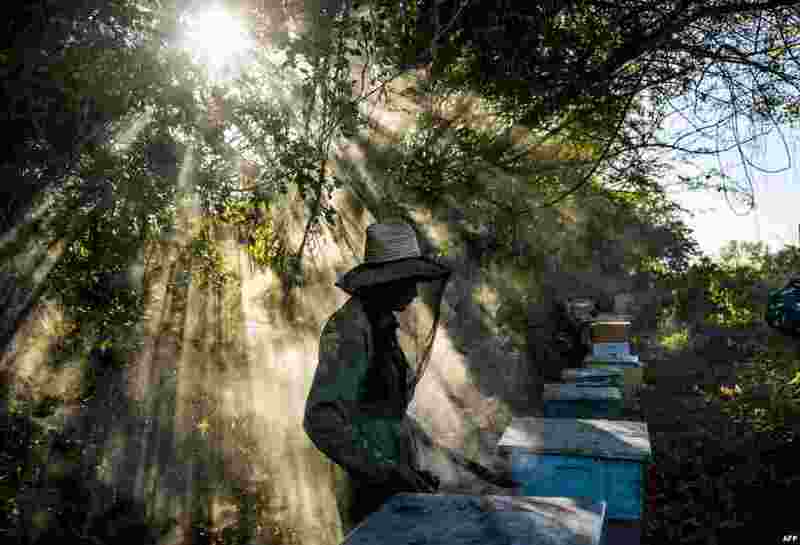 3 A beekeeper works at an apiary in Navajas, Matanzas province, Cuba. In the mountains of Matanzas province, bees buzz free of agrotoxic, enjoying a diet rich in wild flowers and producing a high-quality honey, that is highly desired by European markets. 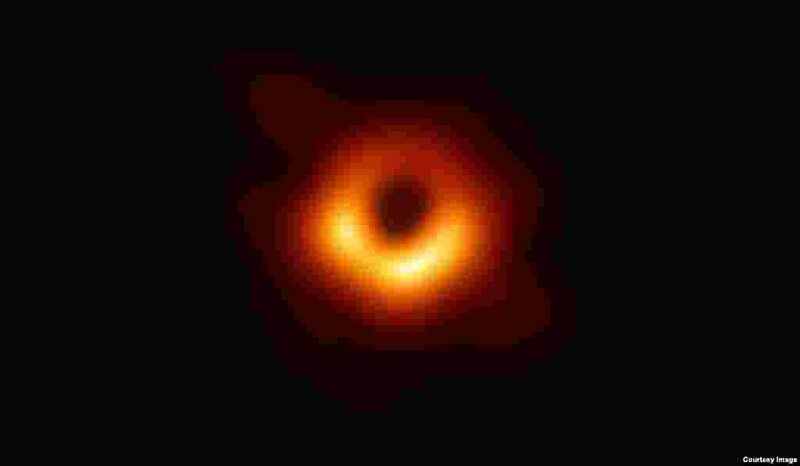 4 An image of the black hole at the center of Messier 87, a massive galaxy in the nearby Virgo galaxy cluster. This black hole resides 55 million light-years from Earth and has a mass 6.5-billion times that of the Sun. 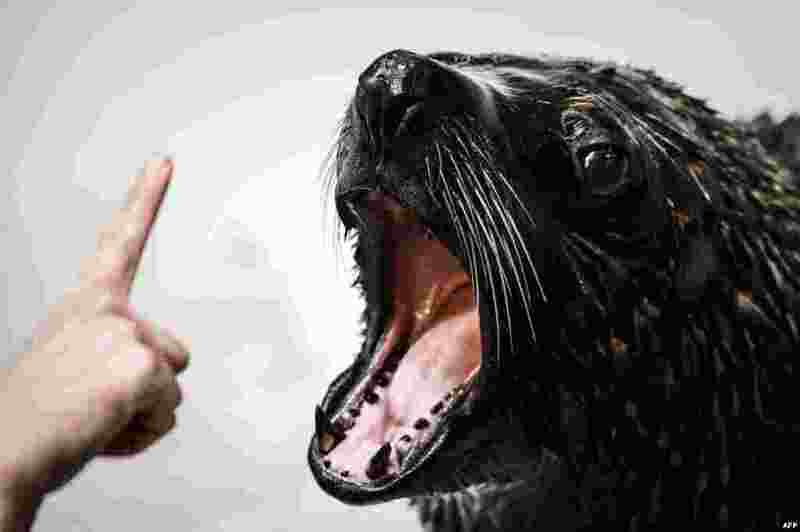 5 A zookeeper interacts with a sea lion during its training at the Vincennes Zoological Gardens (Parc zoologique de Vincennes) in Paris, France. 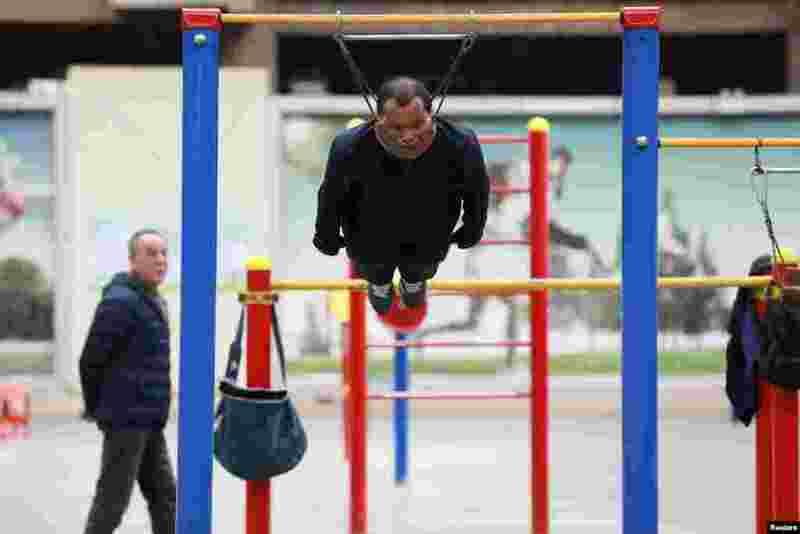 6 Sun Rongchun, 57, exercises with an improvised cervical traction device attached to a high bar at a sports complex in Shenyang, Liaoning province, China, April 9, 2019. 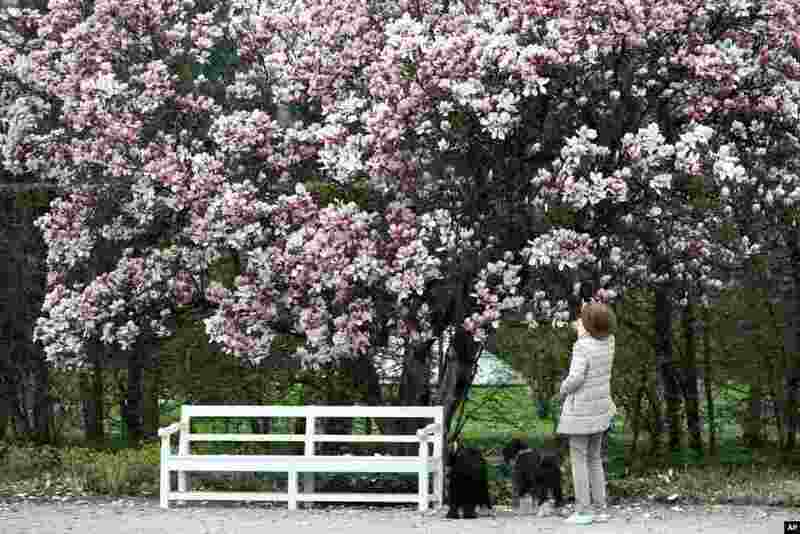 7 A woman takes pictures of a Tulip Magnolia tree during her walk through the park of castle Nymphenburg in Munich, Germany. 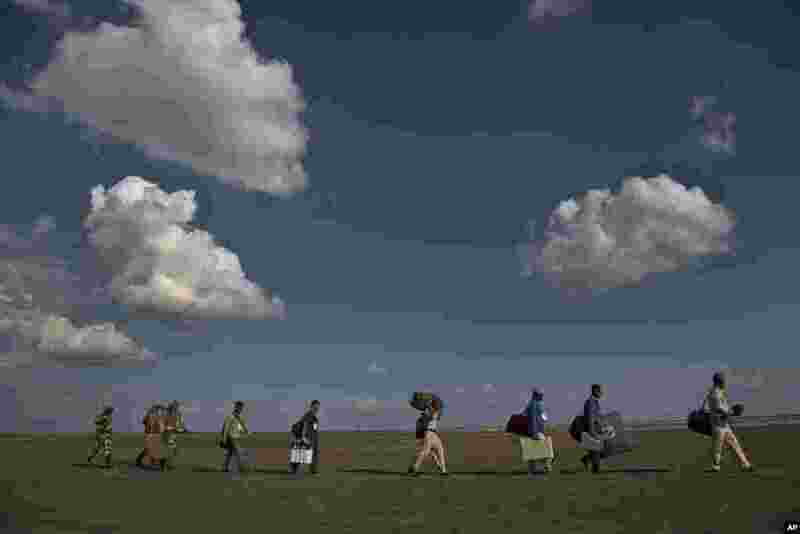 8 Paramilitary soldiers guard election officials carrying election materials as they travel along the Brahmaputra River so they can board a boat on the eve of the first phase of general elections in Majuli, Assam, India. 9 A boy swims in muddy water in Jalalabad province, Afghanistan. 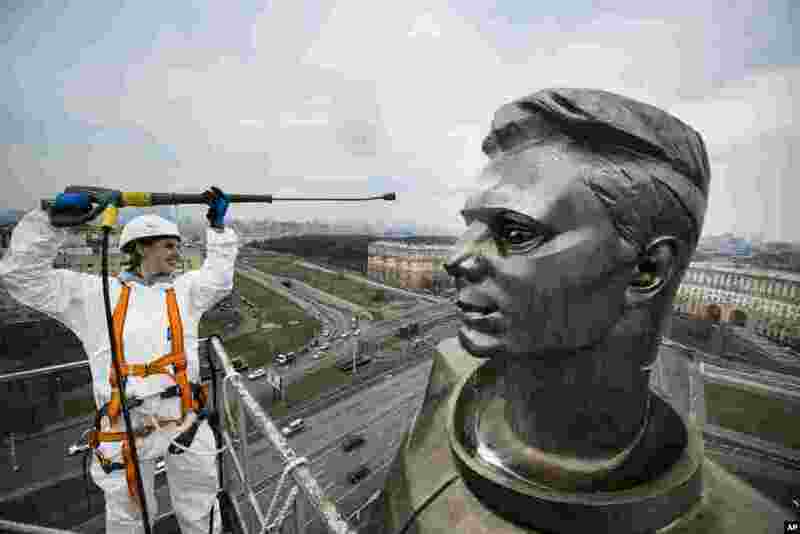 10 A worker cleans the statue of Russian astronaut Yuri Gagarin, the first person who flew to space, ahead of Cosmonautics Day, which is celebrated on April 12, in Moscow, Russia. 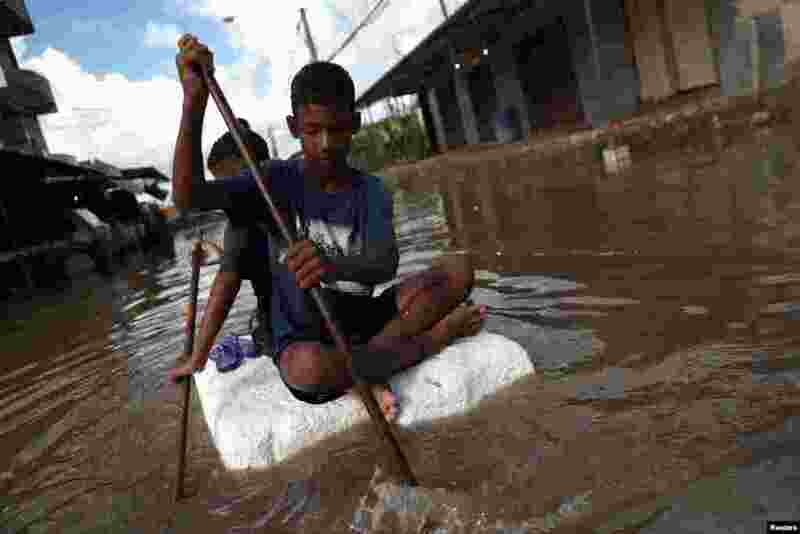 11 Kids row on a styrofoam block through a flooded street during heavy rains in the Guaratiba neighborhood in Rio de Janeiro, Brazil.